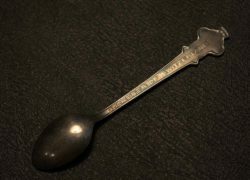 Item description: A Rolex silver (not hallmarked) tea spoon. Rolex crown and name in relief to top. 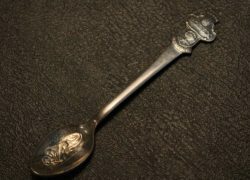 Relief Swiss lion of craftsmanship within the spoon. Reverse has relief wording ‘BUCHERER OF SWITZERLAND’. Length: 10.5cm. Condition report: New old stock. Mint condition. Storage age only. 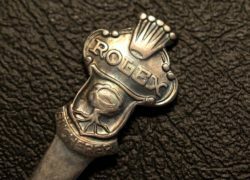 Special notes: These Rolex spoons were manufactured in the 1960s as a promotional item.